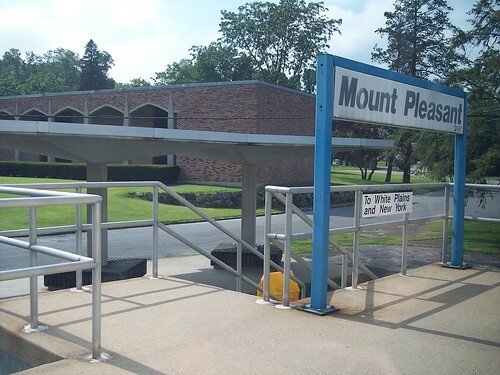 The Mount Pleasant station is in a cemetery, so very few trains stop here. The station does have two high level platforms, but each is very short. Prior to electrification the canopy in the back was used as the station. I'm not sure whether that older canopy was built during the New York Central era or later.